Fancy a glass of Russian cabernet or pinot noir with your steak? Russian wines are produced in the Krasnodar Territory, Crimea, Sevastopol, Rostov Region, and in the Caucasus. A bottling line at the Abrau Durso Winery, Krasnodar Region, Russia. Russia plans to increase domestic wine production and wants to restrict wine imports over the next five to seven years. The long-term goal is to boost wine exports and make Russia a top player on the international market. 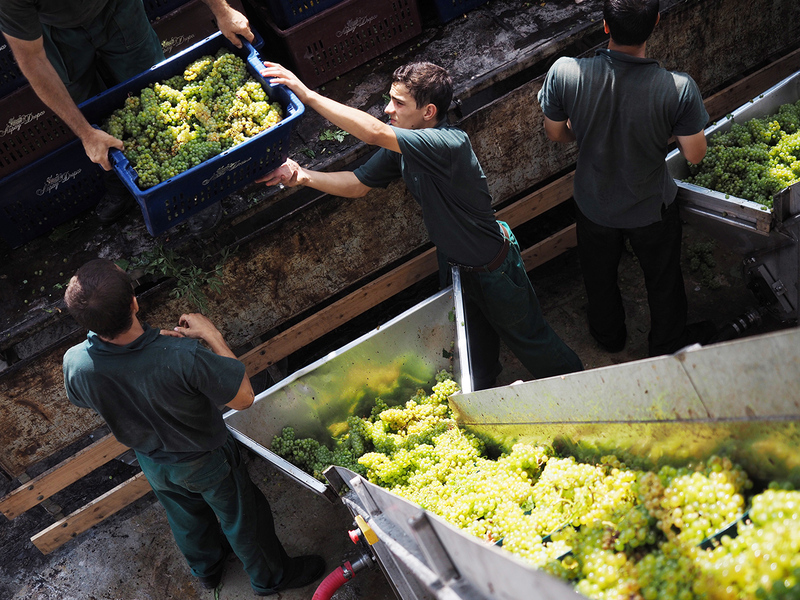 Winemaking experts commented for Russia Beyond The Headlines as to whether these plans will work or not. The Russian Agriculture Ministry is considering an increase on custom duties for winemaking ingredients and a limit on their import for the next five to seven years, Minister Alexander Tkachev told (in Russian) Rossiyskaya Gazeta in December. This measure is aimed at increasing the share of domestically produced wines on the home market. “Russia currently ranks 11th globally in terms of wine production, but we have the capability to increase output, including for export,” Tkachev said. Russia is increasing its winemaking capacities, and Tkachev estimated that in the past 10 years the total area of vineyards in the country grew by over 30% to 210,000 acres. “If we want to end dependence on foreign wines, then we need to plant another 124,000 acres by 2020,” said Tkachev. Russia has seen a number of important changes in the wine industry in recent years, including new legislation. For example, the price of winemaking licenses has decreased, and wine production is now considered a segment of agricultural production, meaning that manufacturers can get access to government funding. The amount of state funding spent on the development of viticulture nearly quadrupled from the equivalent of 9.5 million euros in 2015 to 37.5 million euros in 2016, said Yevgeny Akhmashev, head of the Agriculture Ministry’s department for food processing industries. The 2017 plan calls for financing the sector at least on the level of last year. In addition, the ministry is looking at the possibility of restricting imported winemaking ingredients, which are currently used to produce around one-third of all wine in Russia. “The Russian wine market can be roughly divided into three equal segments: Russian wine produced from Russian grapes; imported wine that is bottled in Russia; and so-called bulk wine, produced from imported ingredients but traded as Russian brands,” said Dmitry Kovalev, head of the project Nashe Vino (Our Wine). Kovalev said that an outright ban on the import of wines bottled abroad is unlikely, and that the measure will largely impact the bulk wine segment that Russian winemakers hope to occupy. “This may involve steps to restrict wine materials, in which case the Russian winemaking sector will be able to develop in a normal competitive environment,” said Kovalev. The Agriculture Ministry has already drafted a bill introducing the mandatory requirement that the country of origin for the grape used in a wine must be stated on the label. Despite the intense global competition, Russia has a good chance of becoming an international player, experts believe. “Since 2008 or 2009, Russian winemakers have regularly participated in international wine tasting contests, and in London they won more than 300 awards over the past five or six years,” said Vadim Drobiz, director of the Center for Federal and Regional Alcohol Market Research. According to Drobiz, Russian wines are fairly competitive internationally, even when compared to upscale European brands. He notes, however, that it will take Russian producers more than a decade to get a foothold on global markets. Kovalev added that the Black Sea coast enjoys a large number of sunny days and offers varied soils, thanks to which the regional countries, including Russia, are able to produce robust red wines, including the Cabernet Sauvignon, Shiraz, Grenache, and Pinot Noir varieties.